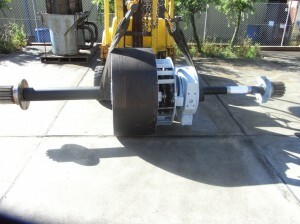 Spare Parts « Revro – New & Used Industrial Equipment, Service and Spare Parts. Revro Pty Ltd Managing Director Brian Lever is pleased to announce that Revro Pty Ltd will be selling the range of Gummi® clutch and brake products in Australia and New Zealand. 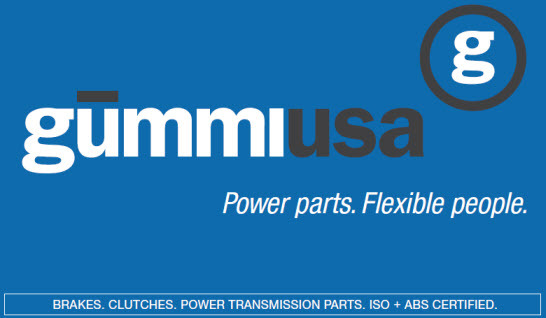 GUMMI USA Inc is a leading designer, marketer, and manufacturer of power transmission components for industry worldwide. 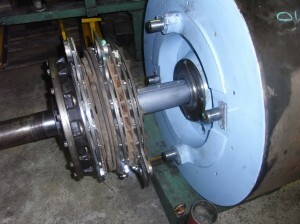 It manufactures a variety of different style couplings, a broad line of pneumatic (air) clutches / brakes and various types of friction materials. Established in 1968 as a manufacturer of specialized rubber gland couplings, Gummi® expanded its operations in the years that followed to produce a broad range of power transmission products with applications for industry worldwide. 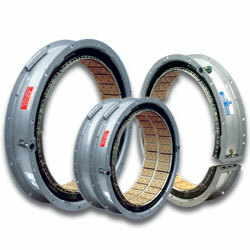 In addition to a diversified coupling line, Gummi has gone on to develop the technology and fabrication processes required to manufacture a complete line of the most popular configurations of drum style air clutches and brakes. 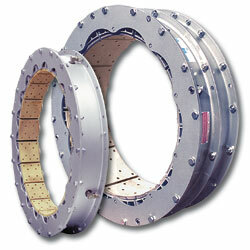 Gummi produces six styles of couplings, including flexible, gear and hydraulic types, six drum clutch /brake configurations in both constricting and expanding types, non- asbestos friction material for a wide variety of industrial applications, and various sizes and styles of rotary unions and quick release valves. 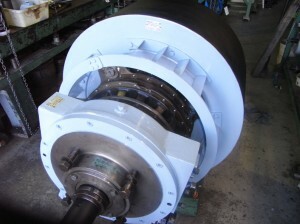 The applications for these products are found round the globe and range from industries such as oil and gas well drilling to grinding mills to paper/pulp production to metalworking to cement production to textiles to marine propulsion and braking. In addition to genuine Gummi products, Gummi also manufacture assemblies, replacement and component parts that are 100% interchangeable and designed to fit Eaton Airflex® style CB, VC, CM, EB, ER, units and National Oilwell® style Dy-a-flex units. All Gummi products are manufactured and sold under the International Quality Standard of ISO 9001:2000 certified by SGS – United Kingdom certificate No.. AR08/00873. Gummi also maintains ABS design certification under ABS certificate # 06-HS119323-PDA on various sizes of its FM and FKT model units. Revro has been providing machinery and services to the metal forming industry for more than 30 years and look forward to selling Gummi clutch and brake products, including after sales service and spare parts, in Australia and New Zealand. P.O. 3297, Erina, New South Wales, Australia 2261. You can visit the company online at www.revro.com. 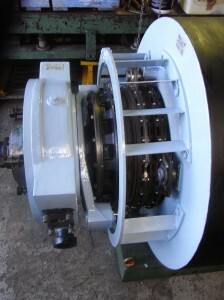 We recently completed a full recondition of a Bliss Welded Products 250 Ton Clutch Brake Flywheel Micro Inch Assembly. Included dismantling, replacing anti-friction bearings, clutch brake drive pins, clutch brake driving plates and friction linings, new drive keys, new rotary extension shaft & hat seal, repairs to clutch hub, repair damaged components, re-assembled and static test unit on bench.